Michael Koryta, long hailed as one of the best young thriller writers at work today, has written his greatest novel ever - an emotionally harrowing, unstoppably suspenseful novel that proves why Michael Connelly has named him "one of the best of the best." Adam Austin hasn't spoken to his brother in years. When they were teenagers, their sister was abducted and murdered, and their devastated family never recovered. Now Adam keeps to himself, scraping by as a bail bondsman, working so close to the town's criminal fringes that he sometimes seems a part of them. Kent Austin is the beloved coach of the local high school football team, a religious man and hero in the community. After years of near misses, Kent's team has a shot at the state championship, a welcome point of pride in a town that has had its share of hardships. Just before playoffs begin, the town and the team are thrown into shock when horrifically, impossibly, another teenage girl is found murdered. When details emerge that connect the crime to the Austin brothers, the two are forced to unite to stop a killer - and to confront their buried rage and grief before history repeats itself again. THE TOWN FEELS LIKE home immediately, and he credits the leaves. It must be a pickup day. Plastic bags bursting with withered remains of life are stacked on the curbs, a few spilling over onto the sidewalks, flecks of crimson and copper that dot the white concrete like blood splatters on pale flesh. The air is that contrary blend: alive with a smell, but the smell is death. Those who pass him have their heads down and shoulders hunched, turtles seeking their shells. He stands tall as he walks, embracing the cold wind, which is wonderfully unblocked by concrete walls, unmarred by razor wire fencing. He is grateful for that. There are other people in this town who have similar feelings, memories of days when one could not embrace the wind and longed to, no matter how bitter and chill. He knows some of them, and he knows that those very memoriesrealitiesare in some cases exactly what chased them to this town, a chance to hide from the past. Discuss the title, The Prophet. What is its meaning, and why do you think this is the killer's moniker? How does the title infl uence your conception of the book? "Everyone was driven by the past, all the time," Adam thinks when he first meets Rachel. To what extent do you think this is true for the characters in the book? Is it possible to break free from the past, or only to change your relationship to it? Cite specific examples from the book. The book alternates between Kent's perspective and Adam's. Which brother did you feel closer to as a reader? In what ways is this Adam's story? In what ways is it Kent's? Hot diggity! How can you lose by reading a gritty whodunit about football, smack in the thick of football season? Here's the thing: You can't. Even if you're not a football fan. Even if you can't tell a cornerback from a lineman. Because, see, I don't even know the difference between those two positions and I loved this book. Michael Koryta takes full advantage of the football theme in The Prophet. It serves as a story arc, a metaphor and - most interestingly - structure for this dark thriller. (Reviewed by Donna Chavez). Starred Review. [A] suspenseful, twisty plot with a probing, unflinching look at his protagonists' weaknesses. Starred Review. [A] brilliantly paced thriller that keeps its villains at a tantalizing distance, a compelling family portrait, a study in morality that goes beyond the usual black-and-white judgments, and an entertaining spin on classic football fiction. A flawless performance. Starred Review. Koryta's recent novels (e.g., The Ridge, 2011) have combined suspense with horror and the supernatural, but this time he returns to his mainstream thriller roots. With its crisp writing and steady suspense, this is a must-read for his fans both old and new. 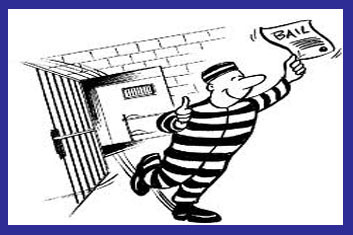 In The Prophet Adam Austen is a licensed commercial bail bondsman. It is a profession unique to only two countries in the world, the United States and the Philippines (a former U.S. colony). Bounty hunter Stepahie Plum is once again struggling with her tangled love life, her chaotic family, and her gift for destroying every car she drives. Not to mention her attempts to bring in the sometimes scary bail jumpers of Trenton, and the sudden appearance of a mysterious female stalker. A deliciously wicked tale of contemporary professional sports.